In narrative cinematic art, an unwillingness to accept death is generally depicted as an ideal. The cancer patient clings to life, undergoing invasive and potentially useless treatment; the war hero pushes through insurmountable odds to reach their loved ones back home, even if it comes with a moral or psychological sacrifice. It goes double for horror movies: the final girl not only evades death at the hands of the killer, but often reciprocates that promise of death back to the killer; the exanimate demon, given temporary corporeal shape thanks to an unwilling human vessel, is made “undead” once again after being dispelled from this earthly plane. You don’t often see characters across any genre of film readily accept or even acknowledge death for what it is: the only certainty in life. That’s not to say it’s some sort of light proposition, or that conceding death somehow prepares us or persuades us, only that defying death leaves us with a false sense of life’s permanence—or even worse, imbues us with the sense that we can somehow transcend or overcome the inevitable thing that awaits us all. 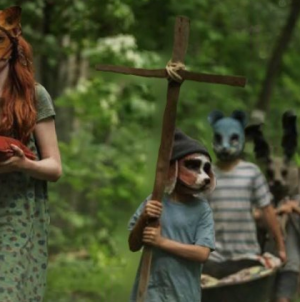 Mary Lambert’s Pet Sematary, based on the popular novel by Stephen King, who also penned the film’s script, starts and ends with this very notion. Death hovers over the opening scene as the Creed family—mom Rachel (Denise Crosby), dad Louis (Dale Midkiff), six-year-old daughter Ellie (Blaze Berdahl) and baby boy Gage (Miko Hughes)—arrive at their new farmhouse in rural Maine, located on a stretch of road that appears to be traversed solely by semi-trailer trucks that are otherworldly loud and moving much faster than one might anticipate. Before they can even unload their station wagon, Gage wanders off toward the middle of the road as a truck barrels forward, unbeknownst to Louis and Rachel, who are helping Ellie after a frightening incident with an old tire swing. Just before Gage is made into mincemeat, the elderly Jud Crandall (Fred Gwynne), a neighbor from across the street and seemingly the only person near the Creeds for miles, scoops him up in the nick of time. The scene portends a few specific and important things, but it also sets the tone for the overall experience. 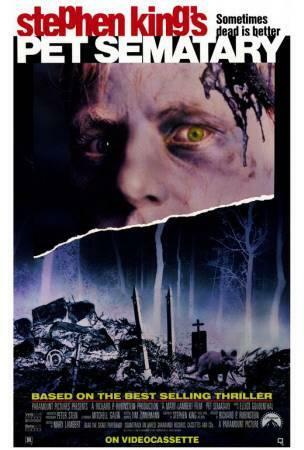 Pet Sematary exists in a kind of elevated dream state where most of the story unfolds in a single (and singular) location, and the soft, glimmering lighting makes for a captivatingly incongruous reflection of the story’s dark and disturbing themes. The film kind of exists on its own axis, pushing against stylistic realism yet exploring ideas and behaviors that are so real as to be unfitting of the environment in which they’re explored. If death is an unwelcome thing in most places, it’s even more so on the Creed property, not only because the space appears so idyllic, but also because the occupants actively push against it. Ellie is stressed over the prospect that her beloved cat, Church, might someday kick the bucket, something Louis attempts to explain to her as natural; it doesn’t exactly assuage her, in part because Rachel, who has her own anxieties about death after a traumatic childhood experience with her late sister, Zelda (Andrew Hubatsek), who suffered from severe spinal meningitis and died in front of her while their parents were away, wholly disapproves of discussing the idea. All the while, menacing semi-trucks engines permeate the otherwise still night air, a constant reminder of death’s proximity. Things are exacerbated when Jud, in a gesture of neighborly warmth (we assume), takes the family on a tour of their new acreage, which includes a stop at a makeshift pet cemetery created by area children, complete with the misspelled sign that gives the story its title. Here, the topic of death turns frank as Jud reminisces about the time when he, as a young boy, buried his dog in the cemetery, and how he felt peace knowing his beloved pet had a final resting place. Ellie responds in kind—she can do the same with Church!—but Rachel remains unmoved. You can understand and even relate to her misgiving—it stems from an instinctive and uniquely human fear of death, and it’s the motivating force that drives so many film characters to overcome the obstacles before them. But in a macabre and nearly existential twist, her particularly intense resistance, while perhaps a little hokey and melodramatic coming out of Crosby’s mouth, is actually the thing that seems to welcome the looming threat that will gradually envelop the Creed family. It first arrives in the form of Victor Pascow (Brad Greenquist), a jogger who’s mortally wounded in a hit-and-run and brought to the hospital where Louis is head physician. Pascow’s dying words are a prophetic warning to the Creed family, whom he’s never met, and his death rattle sprays the bewildered Louis with misty blood. Not long after, Pascow is visiting Louis in a dream, taking him to the pet cemetery and alluding to the “sour” ground deeper in the woods. Already, death is envisioned as a thing that has dislodged itself from its fixed position. 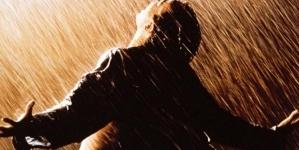 Because of what lies upon those sour grounds, the barrier between life and death is fluid. Later, when Jud finds poor Church dead—we assume at the hands of one of those passing trucks, even though, crucially, the cat’s death is never shown on screen—Louis can’t stomach the idea of breaking the news to Ellie, partially out of desire to protect her innocence but also due to Rachel’s policy of not discussing death. The subject can’t be broached; the concept can’t be introduced; the thing we can’t avoid must be avoided. 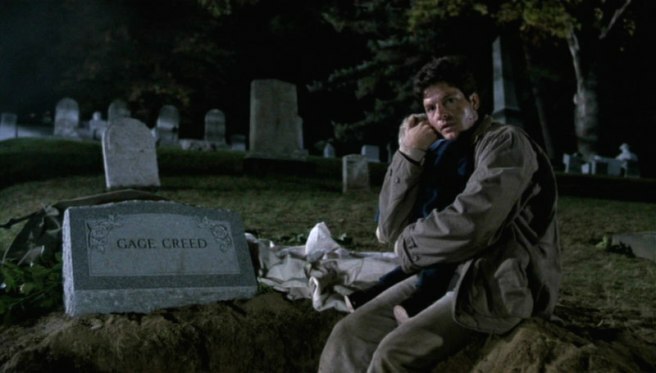 Jud, clearly sensing this, takes the opportunity to introduce Louis to the “real cemetery,” the sour ground that’s actually an ancient Micmac burial site. Anything laid to rest here can return to life, the old man explains, and he encourages Louis to bury Church, refusing to offer assistance because it “doesn’t work that way.” Gwynne’s carefully modulated performance alternately suggests a sense of menace and a sense of benevolence; we can’t decide if this is a gesture of goodwill or a calculated effort to bring about supernatural evil. (Remember, we never saw exactly how Church died.) Either way, Church returns, but he’s not himself. He’s aggressive, violent and stinky. The cemetery, more than merely raise the dead, represents the depths of human folly; it fulfills desire in the same way as a monkey’s paw, with a symbolic twist of the knife in the gut of mankind’s arrogance. That holds true during the film’s climactic stretch. Louis, of course, ignores Jud’s warning and buries Gage beneath the Micmac grounds, where he’s resurrected as a demonic, bloodthirsty version of his former self. King has a penchant for climaxes that go for broke, often flying in the face of established tones from early in the narrative, almost like an of inverse of “if it bleeds, it leads.” Lambert rises to this challenge and delivers a prolonged climactic sequence full of gore, suspense, metaphysical interludes, symbolic imagery and at least one eccentric costume change. 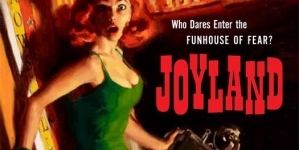 The toddler’s reappearance is foreshadowed throughout the film; there’s Church’s transformation, but also Jud’s harrowing flashbacks, as well as the scenes between a young Rachel and Zelda, which re-emerge in devilish fashion during Gage’s rampage. (The deformed and vengeful Zelda is maybe the single scariest thing in an already very scary movie.) Lambert plays up Hughes’ exceptional cuteness by turning him into a monster and hiding him among the shadows, letting his giggles ring throughout the house in the same way as those revving semi-truck engines. King and Lambert’s adaptation adheres to the novel’s strengths, illustrating the layers of natural and supernatural dread elicited by a tragic family situation. Like the book, it’s a compact and direct narrative that builds, from scene to scene, to a payoff that’s as brilliant as it is emotionally draining and physically exhausting. It’s suggestive, it’s violent and it doubles down on the tragedy by incorporating irony, which isn’t something you usually see in King’s work. 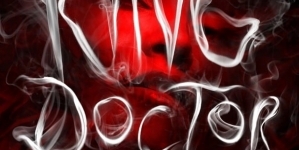 In bringing Gage back to life, Louis is forced to relive his death, this time by his own hands. It seems impossible to live with, which is perhaps partially why he decides to bury Rachel on the Micmac grounds after she’s killed by Gage. He is, for the umpteenth time, warned against this by Pascow, who has become something of an audience surrogate as the film unfolds, but Louis remains undeterred and literally walks through his ghostly apparition on his way to the cemetery, proof that nothing in heaven or hell (or anyplace in between) can stop a man possessed. Does he decide to bring Rachel back out of guilt? Because he needs someone to share in his grief? Obsession? Self-hatred? Forces unknown to himself entirely? All of the above? Throughout the film, Louis is repeatedly confronted by death itself, and yet even after losing his son (twice over) and witnessing the demise of his wife and friend, he still can’t grasp its weight. He can’t see beyond his own emotional suffering. Pet Sematary shrewdly wonders whether anybody possibly could. One way we can surmise that “dead is better” is because death allows us to appreciate life, but if life can be partially defined as awaiting the arrival of death, we’re left in a kind of stasis we can’t escape, no matter how many dead pets and beloved family members we bring to sour ground. That sad irony informs every moment in Pet Sematary, making it easily King’s darkest and most nihilistic work, elevated by Lambert in a film defined by advanced genre craftsmanship, deep and unique characterizations and one hell of a closing credits song.